The start of the 2011 Major League Soccer season marked a renewed rivalry series between the Seattle Sounders, Vancouver Whitecaps, and the Portland Timbers. All three (3) soccer clubs have enjoyed 30+ years of history and success but haven't competed against one another since the days of the NASL... 31 years afgo. Soccer has been a huge success for Major League Soccer in the Northwest over the past two years since the inception the Seattle Sounders FC. In 2010, the team attracted 36,173 fans on average and generated some of the league's highest television ratings. Soccer fever has surely spread to Portland and Vancouver, where both clubs are experiencing a significant amount of success selling season ticket packages as well as suites. The Vancouver Whitecaps in particular embarked on an aggressive "30-Day Countdown" marketing initiative that featured thirty consecutive days of virals introducing the team to the city of Vancouver, decorating landmarks, interviewing celebrities, displaying 3D billboard projections, and more. 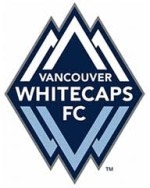 Check out the Whitecaps terrific 30-Day Countdown below ... notably videos #7, #1, $10, and #6! ... And here's a great Sounders FC video to get you ready for the 2011 Major League Soccer season! A special thanks to Aaron Brady for his insights and contributions to this column.